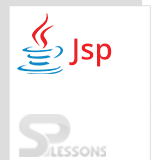 JSP MyEclipse 2014 is a monetarily accessible Java EE and Ajax IDE made and kept up by the organization Genuitec, an establishing individual from the Eclipse Foundation. 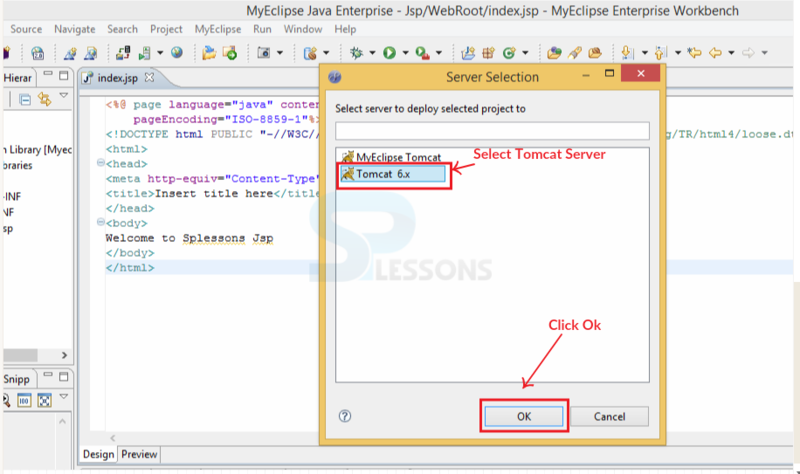 MyEclipse is based upon the Eclipse platform, and coordinates both exclusive and open source code into the advancement environment. 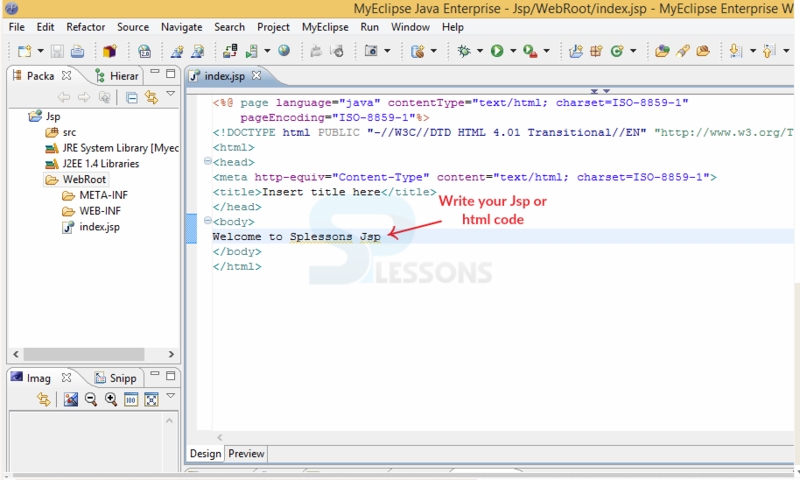 JSP MyEclipse, The chapter demonstrates about JSP MyEclipse. 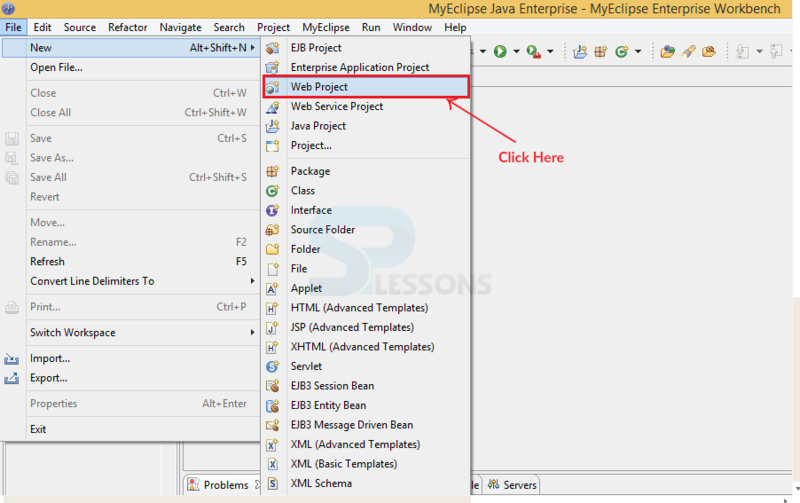 While executing the Java programs, developer needs to import some packages and interfaces so that is available in Eclipse IDE. IDE will cost the developer less time, effort and navigation is also easy. Error debugging is also easy and navigation at error line will be visible. Automatic server configuration and JDK path setting will be available in Eclipse IDE. 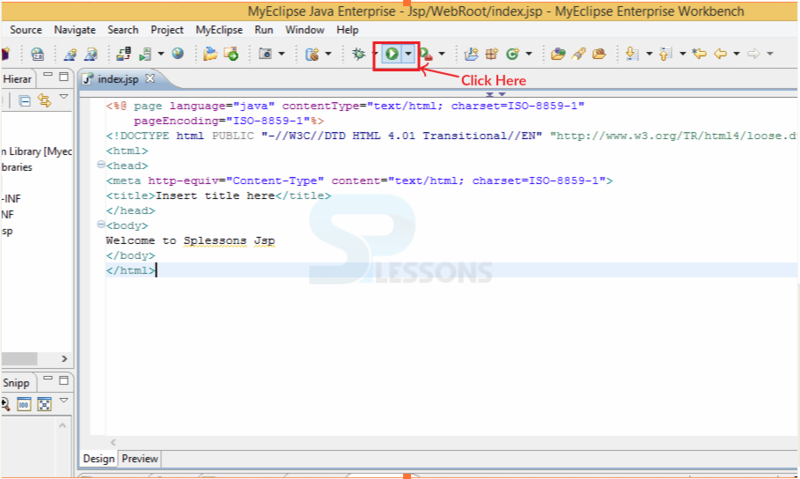 First open the MyEclipse and click on New button and select Web Project. 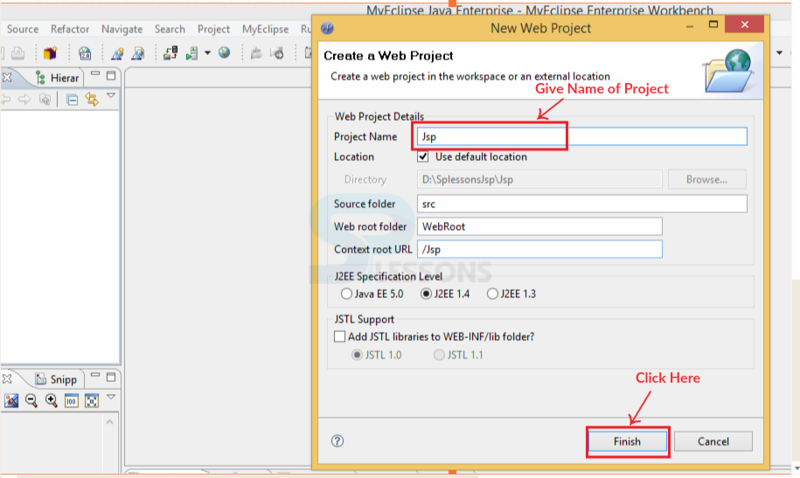 When click on Web Project, another page will be opened where enter the Project Name and click on Finish button. When click on finish project will be created that as follows. 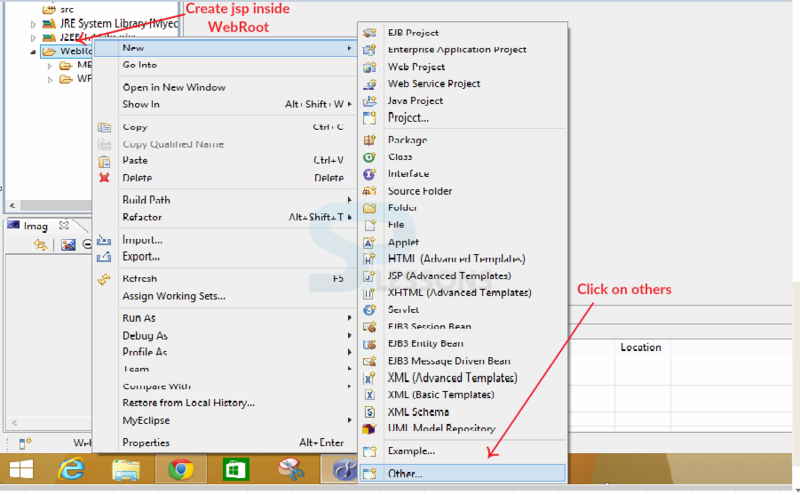 From WebRoot click right button and go to New then click on Others. 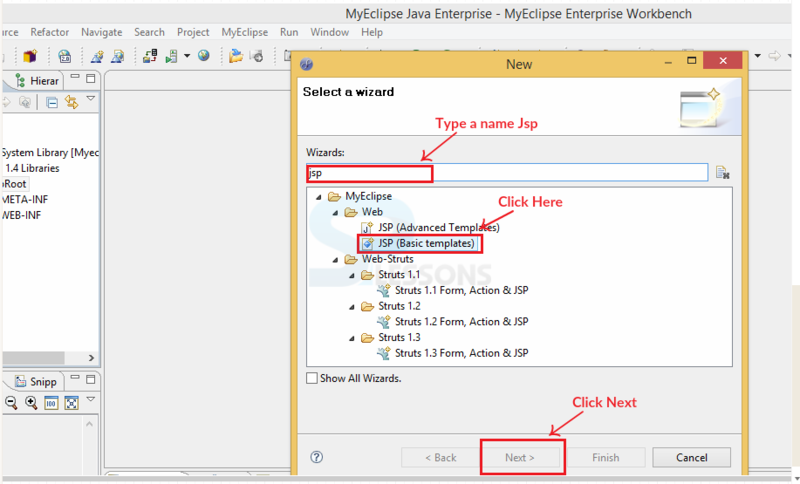 After click on others, select the wizard that is JSP and click on Next button. 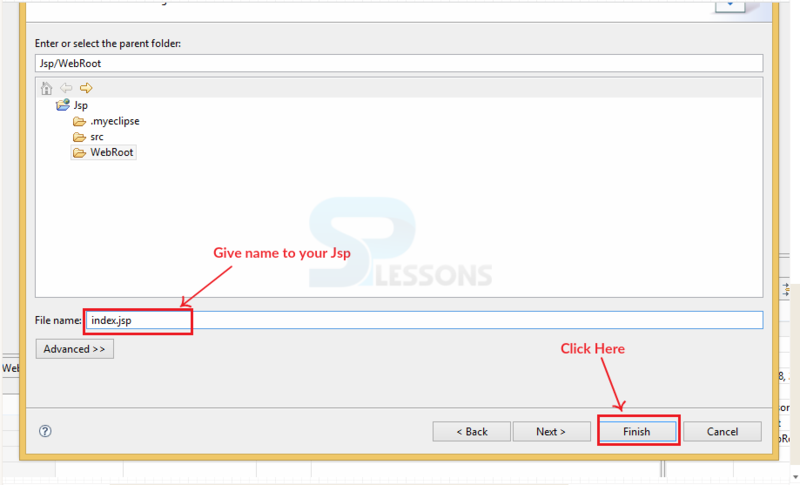 Now select the file name that is index.jsp to create a basic program and click on Finish. When click on Finish button, automatically code will be opened. Here inside the body one can write JSP or HTML code. 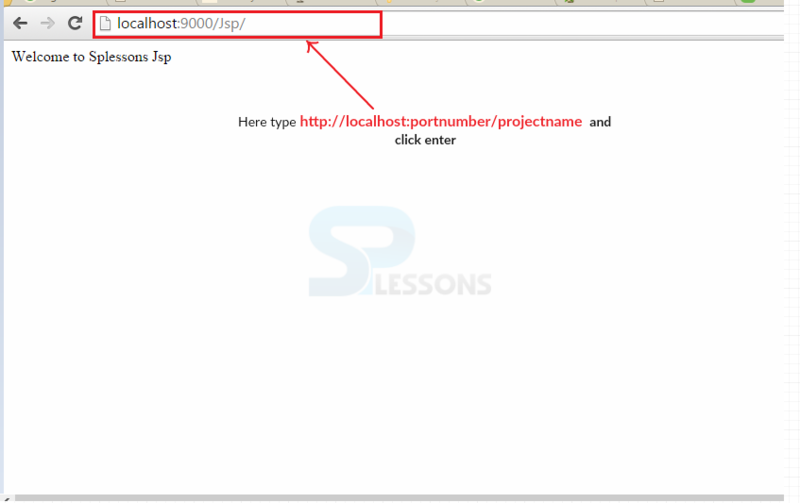 Now select the server to run the code on the browser as shown below. Make sure to already installed any server on the system. Now choose the server is Tomcat and then click OK. In the URL bar type the project name as follows. 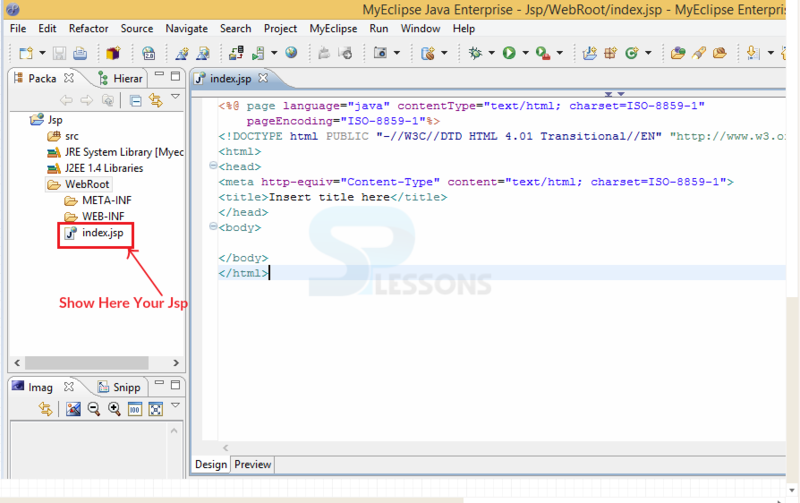 JSP MyEclipse – The latest version of Eclipse version is mars 4.5 was released in 2015. In eclipse all records can be viewed and managed at single screen.